Home › Answers to Relationship Questions › Ask yourself this Relationship Question: Are You a Good Companion? PS. 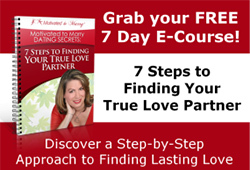 You can get some more relationship skills tips and download a FREE chapter of my book “Get It Right This Time- How to Find and Keep Your Ideal Romantic Partner” at http://www.GetItRightThisTime.com. ‹ Marriage Minded Dating Tips: Are you Haphazard or Strategic? The sad thing is, that since I’ve always wanted to marry, I’m burnt out on being a good companion and getting nothing back and am unwilling to compromise any more. It can happen, but I think it’s a little disingenous when so many women have complaints similar to Hannah’s not to admit it’s not as easy as it looks.